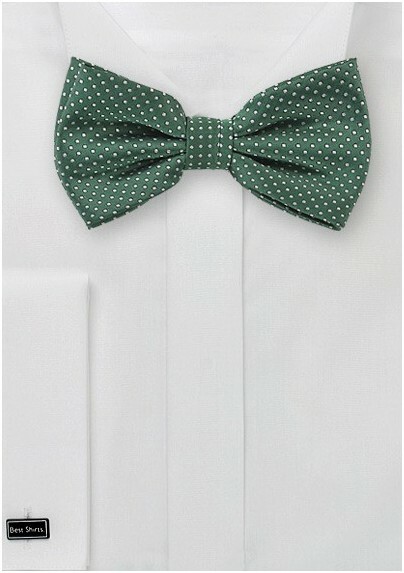 From the menswear experts at the Puccini Design House, this ultra-dapper men's bow tie is the perfect pick for an outdoor wedding in the woods. A lovely forest green color is decorated with a pattern of woven white pin dots. 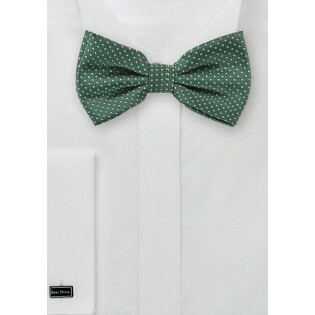 This piece is made from 100% microfiber and is made with a pre-tied bow and neck strap.